In addition to the vinyl reissue, HHBTM Records has decided to reward listeners looking for an authentic, analogue tape experience with a super limited cassette release of the Brick Factory album (only 100 copies). For those who aren’t old enough to remember cassettes the first time, fast-forwarding and rewinding is a completely new experience. For folks who were around, it’s like catching up with an old friend. Only $5 (includes digital download & nostalgia). 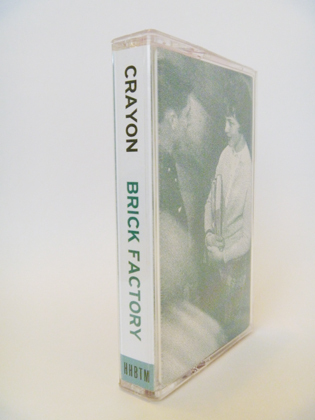 You may pre-order the Brick Factory cassette HERE.